I read this article and found it very interesting, thought it might be something for you. The article is called 15 Things to Do in Salé: Morocco and is located at http://trip-n-travel.com/listicle/21527/. Tourists traveling to Morocco usually decide on visiting those famous cities, known worldwide. They are right; they are fantastic and exotic, full of so many exciting things. 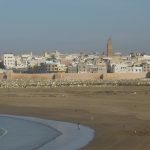 You should not forget one thing –very often, they overlook some of the gems drawn by the ancient walls of Marrakech or Medina in Fez or beautiful beaches in Essaouira. If you don’t want to make the same mistake, look for Salé and discover why it is equally amazing as some of the more known cities in its surroundings. Here is the list of some of the things you could do there. The Medina of Salé is quite small and it is not difficult to explore it. 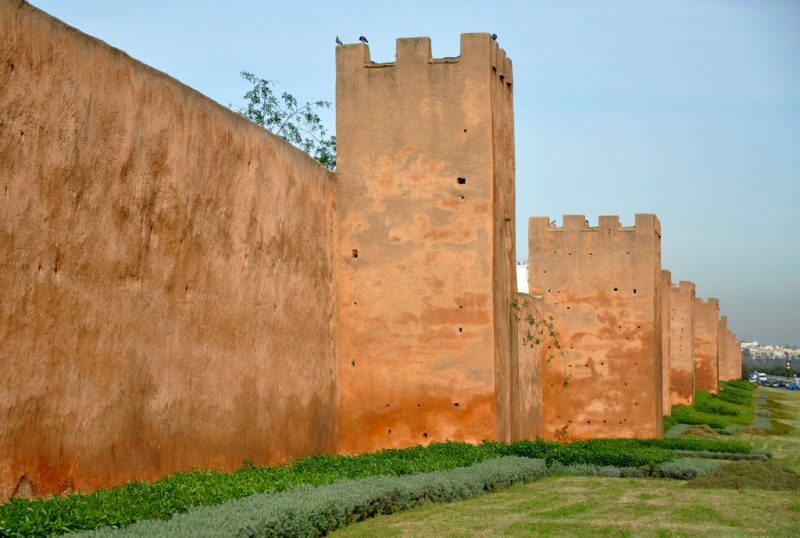 As all the other old North African cities, thick high walls also surround it. The walls around Salé Medina are orange. Inside this old city, you will see many houses lining the extremely narrow streets, the great Mosque and Medersa and you can enjoy the architectural beauty of these old buildings. Behind the walls of Medina, there is a great souk; the market where you can find various sorts of goods such as carpets, crockery, fresh fruit and vegetable, dried stuff as well as cooked food. Since the place is not as crowded as in some more popular cities, you will enjoy the great atmosphere there. The great mosque of Salé was built more than a thousand years ago and it is highly ranked because of its wonderful artisanship. It is actually one of the most beautiful buildings in Morocco from this period of its history. You can barely compare its minaret to any other in the world. This is a must-see place when you get into the old town of Salé. Of course, it is closed for non-Muslims, but you can take some beautiful photos of its exterior. Right next to the great mosque in Medina, there is the Medersa Abu al-Hassan. It is a seven centuries old religious school. You are allowed to go inside and see all the beauty of this intricately decorated building. You will simply love its main hall decorated with the great carvings on stone, wood and tile. The narrow stairs take you to the students’ rooms where everything is completely different. The rooms are tiny with the cold walls, bare and mostly without windows. Get up to the roof, and you will have great views of the town and Rabat across the river as well as the Ocean. Hours: Mon – Sat: 10:00 a.m. – 1:00 p.m., 3:00 p.m. – 6:00 p.m. If you come to Salé, make sure to go to the Belghazi Museum. 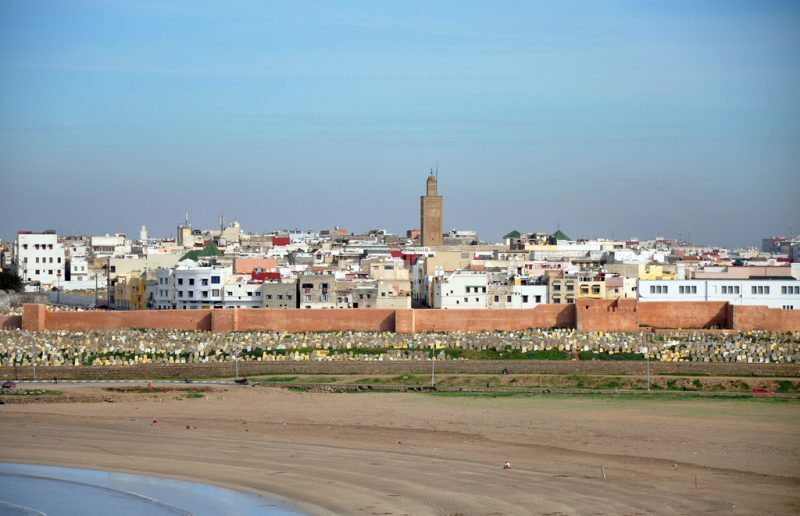 This is where you can learn a lot about the history of Salé and whole Morocco. The quality of the displays will surprise you. The pieces are great and the way they are displayed is even greater. Even if you do not understand the words under displays, it won’t reduce their quality. You will see many ancient religious books, carved doors, painted ceilings, as well as jewelry, pottery, even toys – anything from everyday life. It is a perfect place to visit. You must not miss this place when you come to Salé. If you are not a Muslim, you cannot enter it. Nevertheless, it makes a great experience to see its outside. If you want to see some of its interior, you can peek through its door and windows. If you are lucky, someone from the inside can turn on the lights and open the window so that you can even take some photos. Since Sidi Abdallah Ben Hassoune is the city’s patron, every May Salé celebrates his day organizing the Candles Festival. Salé, also known as the twin sister of Rabat has preserved one of most attractive traditions in Morocco – the wax lantern procession. They say it was also held during the Barbary period, when the pirates carried wax lanterns to the sanctuary of the town’s patron Sidi Abdallah Ben Hassoun. This is how they asked him to protect them before their voyages. Today, it is an attractive and entertaining event when the local people show their culture and tradition. This is the time when they wear their colorful traditional clothes and carry beautifully designed wax lanterns n a procession. 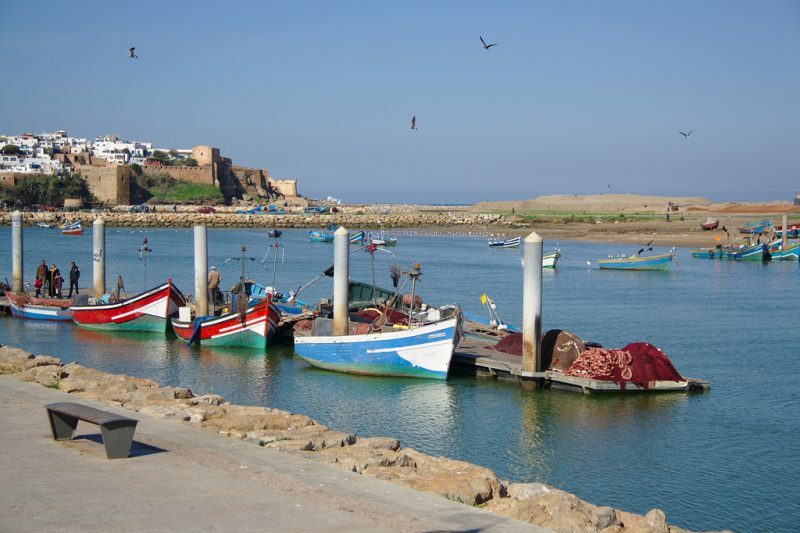 As you may know, Salé is located just across the city of Rabat on the opposite side of the river Oued Bou Regreg. One of the biggest attractions of Sale is the view of its sister city. If you want to have the best views, then you should climb the great walls of the old town, or even better, climb up the steep and narrow stairs of the popular Medersa and enjoy the amazing picturesque view. Old Salé will welcome you with its huge and long city walls. They were built in the 13th century by Merinides dynasty. The walls have been beautifully preserved until the present days and they surround this unique Medina. People in Salé take good care of them and they are well maintained, even better than those in Rabat are. 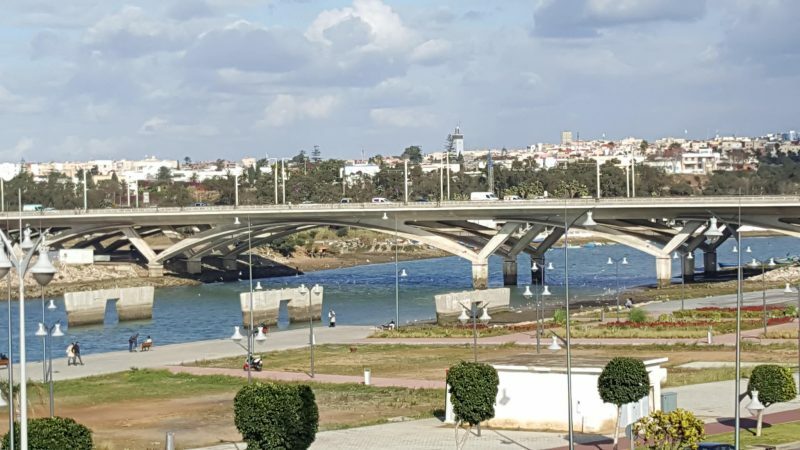 Enjoy the view of the river and the city of Rabat across. This is an ideal place for those who want to forget all the stress accumulated during the week and a perfect spot for children. If you have some time when you visit Salé, don’t miss it. The park is located on the river bank and offers amazing views. It is very clean and secure. There are some nice options to eat on the site, too. If you are with your children, the park offers games, bumper cars, a small train, a mini roller-coaster, a shooting range and many other fun activities for them. Very often, they organize different shows and workshops there. You will not get bored. If you go north of the old city of Salé, you will come to the seaside shrine of Sidi Moussa Doukkali. It is dedicated to the 12th century saint. It is built over the saint’s tomb on a cliff above the ocean where the waves constantly crash the rocks. It is said to bring fertility, so women from Salé visit it if they have any problems. If you are interested in old and modern architecture, you should pay particular attention to some of the marvelous and unique details while in Salé. Salé is a wonderful place to do that in peace and quiet, since there are still not so many tourists as in the nearby cities. Morocco is the country that has developed a unique architectural style, which reflects the rich cultural and historical heritage of the country. Enjoy the looks of the great domes, arches, courtyards and decorative tile work all over the place. Salé is a city of many gates. There are more than seven impressive gates and the largest is Baba Bou Haja. It is extremely well preserved and you can see wonderful ornamental features on its both sides. It is also the main entrance to the old city. The most popular of all gates is the one called Bab Mrisa. It may look to you like an ordinary gate, but in fact, it is not just that. It used to protect a waterway leading straight to the ocean so that the ships could sail directly to the gate, and get into the medina. The gates would close behind them, and those were the Corsairs ships. They plundered the seas in the 17th century! 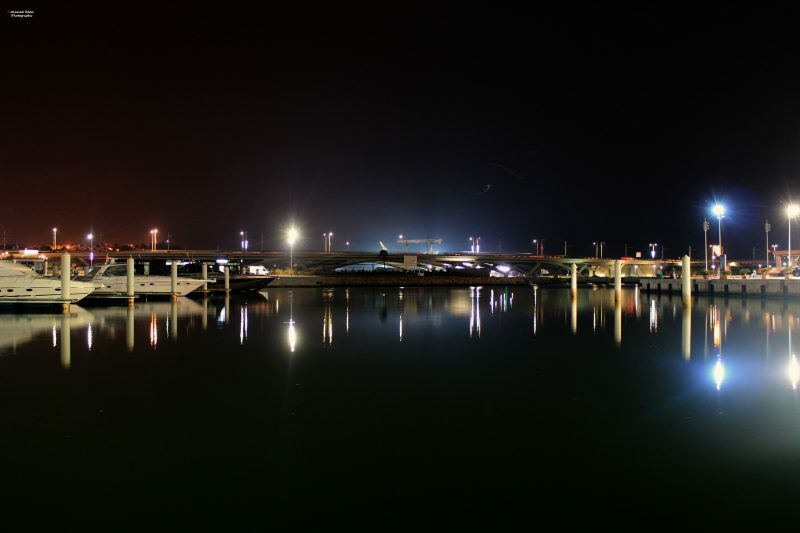 Housed in the very heart of Salé, there is a great marina fully equipped with all the necessary and modern facilities. It is a must-visit place for all the boaters providing a memorable stop on their way to other parts of Africa. It is located on the Bouregreg River and surrounded by marvelous ancient and historical sites. Raise your sails and enjoy the stunning beauty of this magnificent marina. You might not know that fishing is a way of life for many people in Morocco. Tourists mostly think of Morocco as of a desert country, but fishing is actually very popular activity there. If you like, you can go to the shores of the river Bou Regreg and enjoy the view of the colorful boats and fishermen who unload their daily catch. You can even buy fresh fish there. The fish from Salé is particularly delicious. Enjoy it in the traditional tajine! 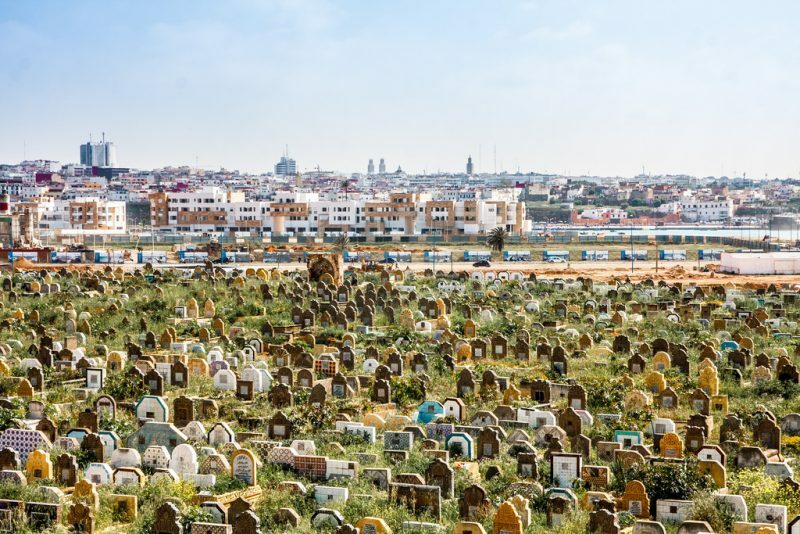 In one part of Salé, there is a Muslim cemetery. It is used for both Rabat and Salé. The graves are similar and have long writing in Arabic. You will probably find it unusual to see a cemetery inside a city walls and right next to the ocean coast. Next to the cemetery very close to the ocean, you will see the Morocco’s first koubba –a small mausoleum dedicated to a saint. As you can see, Salé is truly a hidden gem that is unfairly left out from the travel agendas. If you choose to visit this beautiful ancient city, you will see something that you will not see in popular destinations and spend some wonderful time in a relaxed and friendly atmosphere.